There’s nothing like a well-made cocktail, but when rum is involved, the spirit instantly takes the drink in your hand to the next level. Perhaps it’s that intrinsic hint of sweetness in the sugarcane-based spirit, or maybe it’s that extra suggestion of complexity imparted by a bit of oak aging. Whatever it is, there’s no doubting that rum is the very spirit of excellence. Its range of styles reflects the diverse countries in which rum is produced. You’ll find every iteration: dark, light/white, spiced, gold, flavored, and overproof. As dark rums are complex wonders on par with fine whiskey, you’ll usually find lighter rums cropping up in cocktails. Most light rums come from Cuba, Puerto Rico, and the Dominican Republic. We’re spotlighting three ultra-classic rum cocktails, just in time for the sunny days ahead. 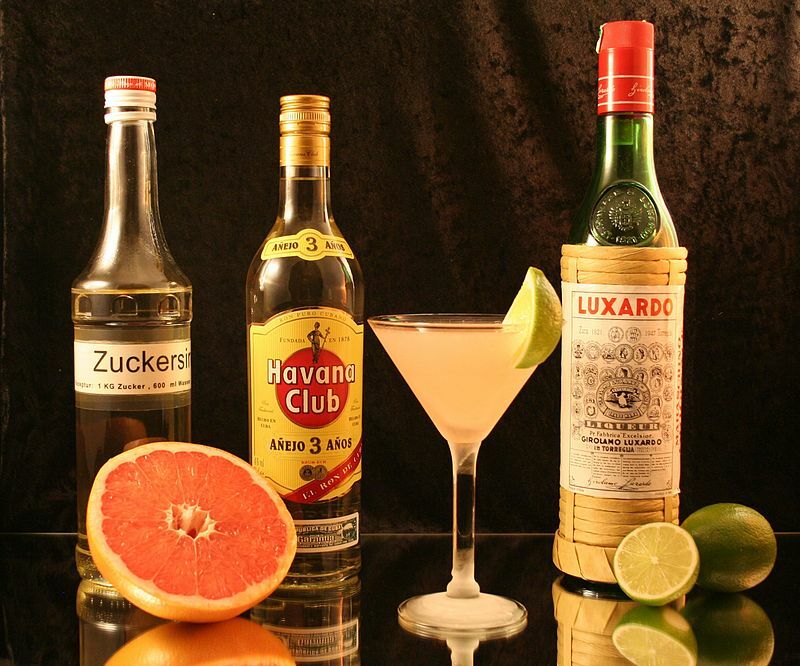 As one of the major producers of rum, Cuba is birthplace to many classic rum-based drinks. The Daiquiri is no exception. A true Daiquiri isn’t the slurry saccharine confection many associate with beachside bars in tropical locals. No, the original Daiquiri is an elegant cocktail, simple gastronomic artistry…and if you’re a bartending neophyte, it’s a cinch to make. With a mere three ingredients – rum, fresh lime juice, and simple syrup, there’s nothing gaudy about a Daiquiri. The Daiquiri was purportedly invented by an American mining engineer by the name of Jennings Cox during the last gasps of the 19thcentury. The cocktail takes its name from a small town not far from the mines where Cox and his crew were working. The town, in turn, gets its name from a Taino word. It’s thought that Cox concocted the Daiquiri as a means to protect his men from the perils of yellow fever. According to another story, Cox was entertaining guests at a party and ran out of gin, so he mixed up a rum-based cocktail instead. 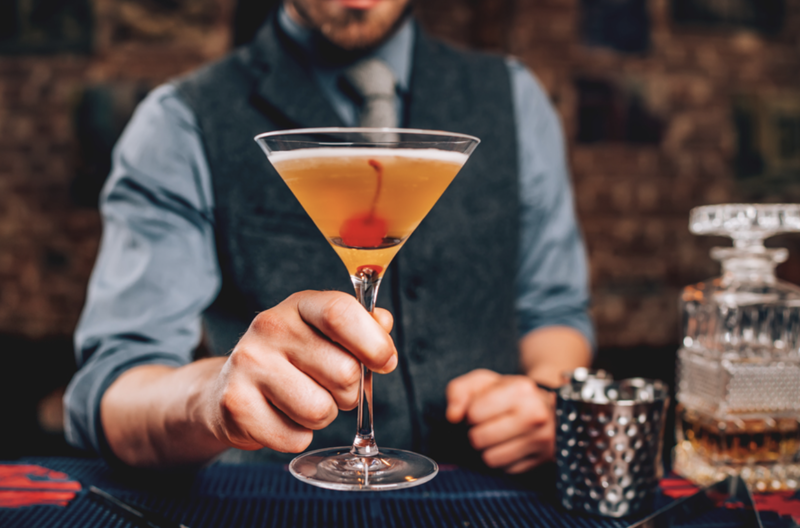 While the original cocktail has perhaps been overshadowed by its bastardized frozen sibling, once upon a time, it was considered a staple, so much so that in his seminal book The Fine Art of Mixing Drinks, David A. Embury deemed it one of the six basic cocktails (along with other cocktail pinnacles like the Manhattan, the Martini, and the Old Fashioned). For top-notch Daiquiris, make sure you use a good quality rum and fresh lime juice. Given there are only three ingredients to this recipe, subpar quality will be glaringly obvious. Pour ice into a cocktail shaker. Add ingredients. Shake well, strain, and serve straight up in a chilled cocktail glass. There are a couple of different takes on the OG Daiquiri. A personal favorite is the Hemingway Daiquiri or Papa Doble, created by none other than Papa himself. This twist is a variation on El Floridita bar’s Daiquiri. It uses the traditional rum and lime juice with the addition of maraschino liqueur and grapefruit juice. Give it a try! The Mojito is a sibling to the Daiquiri. It’s a highball which sees the addition of mint and a dash of soda to the holy trinity of rum-lime-sugar found in the Daiquiri. Its origins also lie in Cuba, this time in the capital city of Havana. 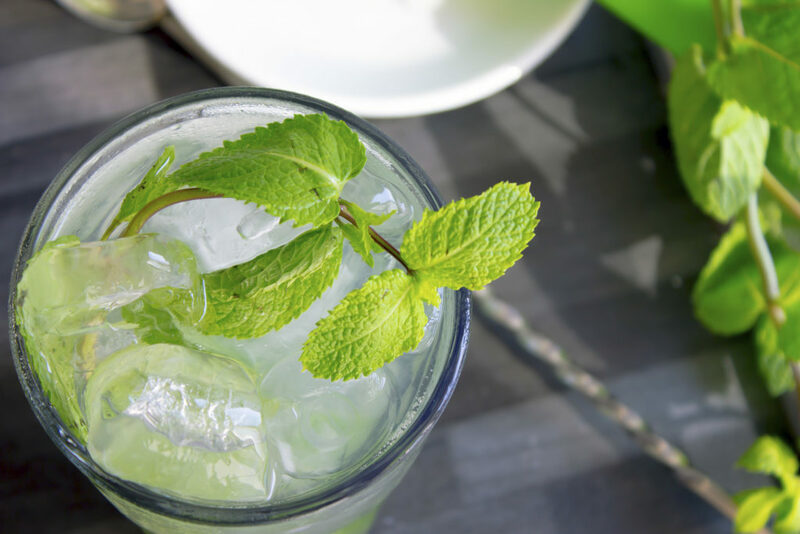 Mojitos are the perfect blend of refreshing citrus, a hint of sweet, and that stimulating flavor of mint which invigorates sluggish taste buds. Like many of our favorite classic cocktails, the exact story of how the Mojito came about is a bit, if you’ll excuse the pun, muddled. One tale attributes the libation’s origins to a similar 16th-century concoction known as “El Draque” after the English privateer Sir Francis Drake. It was based on a sugar cane aguardiente with lime, sugar, and mint. Sound familiar? El Draque was consumed as a medicinal tonic and used by Drake and his men aboard the ships to help stave off diseases like scurvy and dysentery. Another story says that it was the African slaves who toiled in the sugar cane fields who created the ancestor to this much-loved cocktail. The source of the name ‘Mojito’ is itself unclear. Some historians posit that it comes from mojado, Spanish for ‘wet’ while others suggest its roots are in the African mojo, to cast a spell. What we do know for a fact is that aguardiente de caña was eventually replaced by rum and the Mojito as we know it was born. Our modern Mojito has five ingredients. The key to a truly great Mojito is to gently bruise the mint leaves, not shred them to a pulp. This releases the oils which give the Mojito its incomparable flavor. In a cocktail shaker, muddle the limes and sugar. Add the mint leaves and gently crush them to release the oils. Add rum and ice and shake vigorously. Strain into a chilled highball glass. Top up the glass with soda water. If you want to jazz up your Mojito, you can add fresh fruit or fruit purees for a twist on this classic rum cocktail. Mango, passion fruit, and coconut are all excellent options, and you can’t go wrong with fresh berries. Basically, you’ll want to think tropical, bright and fruity. The quintessential tiki drink was first concocted in Oakland and dates from the halcyon days of the post-Prohibition Polynesian craze in the US. Ready to put the days of underground speakeasies and bathtub gin of questionable quality firmly in the past, the American public was primed for exciting and exotic new cocktails. Fortunately, a few intrepid men were ready to deliver. The granddaddy of tiki culture was one Ernest Raymond Beaumont Gantt, who is better known by his sobriquet, Don the Beachcomber. Gantt was a former bootlegger whose travels had taken him around the world. Landing back in Hollywood he established a bar, Don’s Beachcomber, in 1933. There amidst his Polynesian-inspired décor, he invented heady cocktails which quickly became popular with the glitterati of the day. Thanks to Gantt, tiki took off in a big way. Not long after Gantt opened his doors, a competitor arrived on the scene in the form of Victor Bergeron and his Oakland-based Trader Vic’s. It was here in 1944 that Bergeron claims to have shaken up the first Mai Tai, whose name comes from the Tahitian “maita’i” which means “excellent” or “the best.” However, Gantt attested that the Mai Tai was based on his Q.B. Cooler, which he created back in 1933. Looking at the two recipes, it’s easy to see that the Q.B. Cooler has a lot more going on it, with added ingredients like ginger syrup, orange juice, honey, and more. Ultimately, Bergeron won the naming rights for the Mai Tai, but to this day, the true creator of the Mai Tai continues to be a matter of debate. 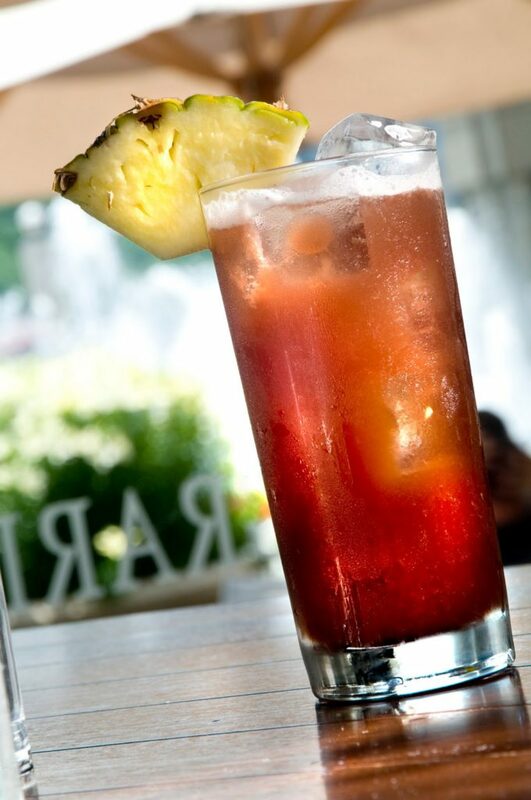 Today, most Mai Tai recipes are based on the Vic’s version. Also found in the Mai Tai are a few slightly more unusual ingredients. These were seldom seen outside of the realm of tiki prior to the advent of the cocktail renaissance which has seen long-forgotten ingredients pulled off the back bar and dusted off for use. Specifically, we’re talking about orgeat, an almond-flavored syrup, and orange curaçao. The result is a tasty, well-balanced cocktail that’s not too sweet and can definitely be enjoyed sanspaper umbrella. In a cocktail shaker filled with ice, add all of the ingredients. Shake well. Strain contents of shaker into a rocks glass. Garnish with mint and a lime shell. 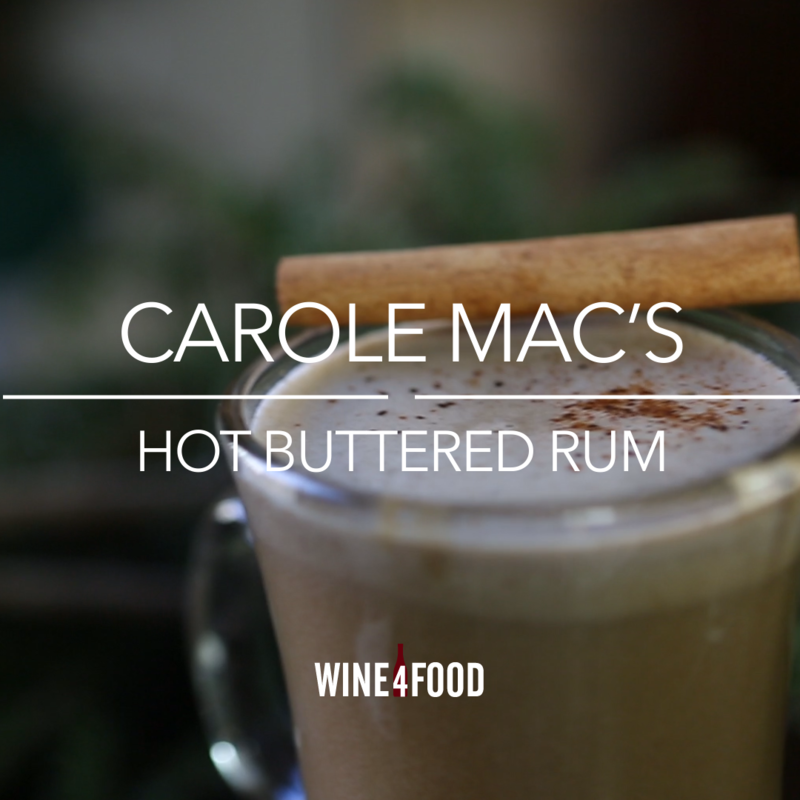 Naturally, there are dozens of other delectable rum-based cocktails out there, from the Dark n’ Stormy, the classic Cuba Libre, and Piña Colada, to the winter essential Hot Buttered Rum. With their tropical origins, rum cocktails are the perfect accoutrement to balmy summer evenings whether you’re barbecuing out back or simply looking for a delicious way to escape the heat.